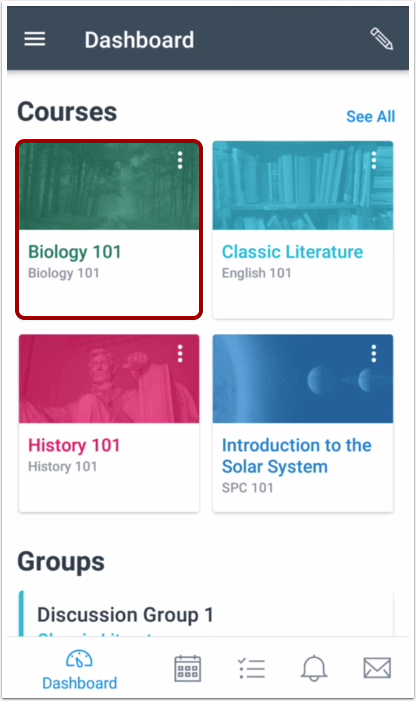 How do I view the Syllabus in the Student app on my Android device? Note: The Course Navigation menu matches the browser version of your Canvas course. 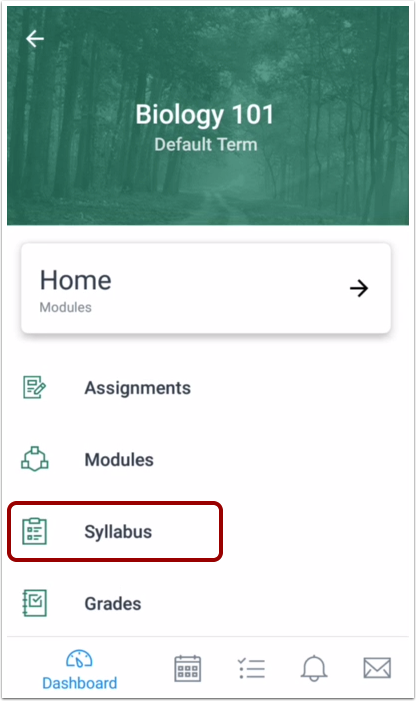 If the Syllabus is not available in Course Navigation, it will be hidden from view in the app. You can always access Syllabus information in the Notifications link. Note: You may need to swipe your screen to view Syllabus in the Course Navigation menu. 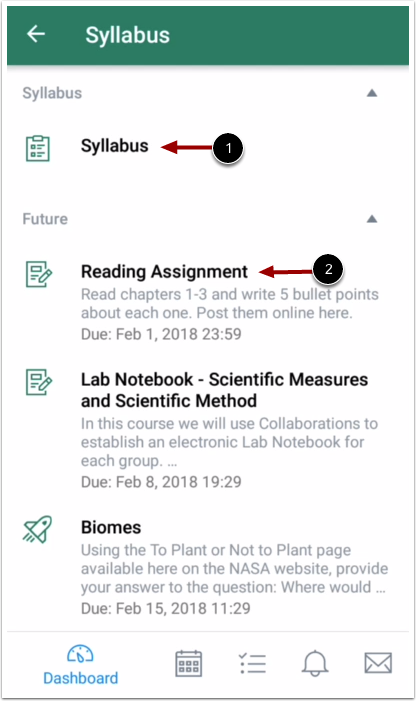 The app lists all assignments for the course syllabus. Assignments are grouped by date: past due, next 7 days, future, and no date. Assignments are also associated with an icon type for quick reference. To open the Syllabus description, tap the Syllabus link . To open an assignment in the syllabus, tap the assignment name . Previous Topic:How do I take a Quizzes.Next assessment in the Student app on my Android device? Next Topic:How do I check my What-if Grades in the Student app on my Android device? Table of Contents > Course Features > How do I view the Syllabus in the Student app on my Android device?